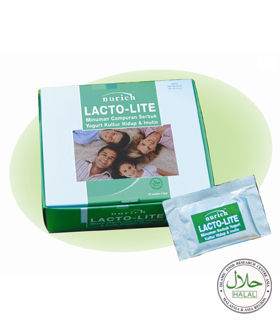 Nurich Lacto-Lite Yogurt with Live Culture & Inulin Powder Drink combines the health benefits of live culture and inulin to safeguard your digestive system and ensure a healthy body. Live culture consists of friendly bacteria that are ingested to assist in digestion, promotes bowel movement, improves digestive system and promotes growth of Bifidobacteria. Meantime, inulin (fiber) stimulates the growth of good bacteria in the digestive system. Both live culture and inulin are used together to balance the gut flora and promote a healthy gastrointestinal tract. 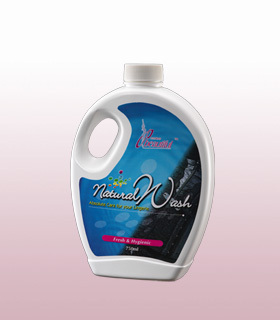 Blend well with selected natural plant extracts and vitamins. It is highly effective for Premium Beautiful Foundation Lingerie and suitable for exclusive garments to make it softer and at the same time, protects your hand and environmental safe.